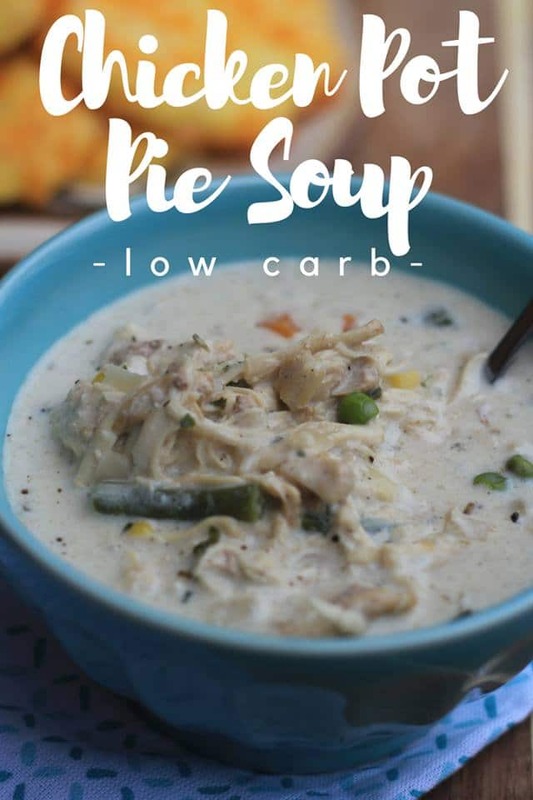 Making this Low Carb Chicken Pot Pie Soup is now one of my favorite ways to make a cold evening better. 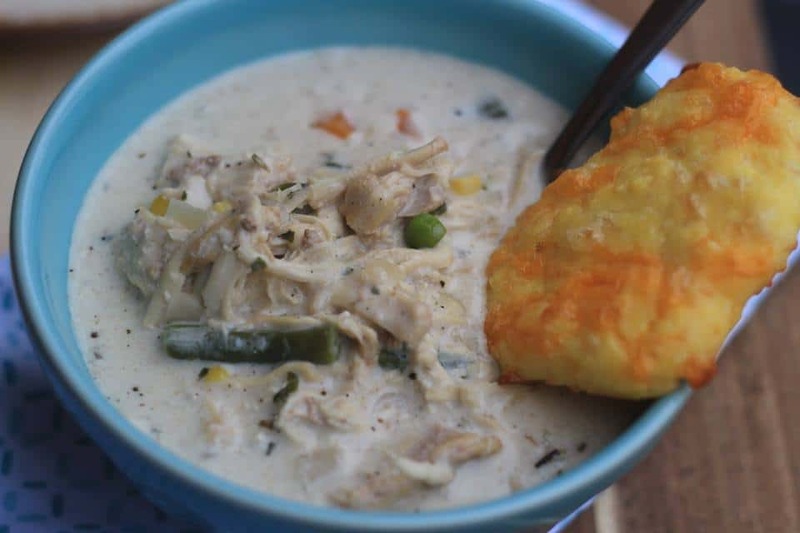 Chicken Pot Pie Soup is a delicious option that really brings all the comfort food flavors home without wrecking the keto diet. I love Chicken Pot Pie. It is one of my favorite comfort foods. Evidently, others feel the same way because my Keto Chicken Pot Pie Recipe is one of my most popular recipes. With the weather cooling down, I thought I’d tweak my recipe just a bit and transform it into this Chicken Pot Pie Soup. It turned out so delicious and comforting. 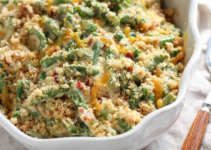 I only used 1/2 a cup of mixed veggies just so it would look and taste like Chicken Pot Pie, however, if you’d rather make it a little more keto friendly you could use other veggies that are more low carb like zucchini, green beans, and broccoli. I figured 1/2 cup of mixed veggies wouldn’t be a big deal to me, but to each their own. It was exactly what I needed as I have been fighting off a cold, and a perfect addition to a cold winter day. I have included cooking instructions for both the Crock-Pot and the Instant Pot below for your convenience. I made a batch of Keto Biscuits to serve alongside it, which was a fabulous combination. You could make either the standard recipe or Cheddar Garlic Keto Biscuits. It doesn’t have to be served with a biscuit. This is such a delicious meal it doesn’t need anything extra. Turn Instant Pot to saute, then melt butter. Add onion and mixed veggies to the melted butter and saute until the onion is translucent. Remove the veggies from Instant Pot and set aside. Add 1/2 cup chicken broth to Instant Pot and stir to deglaze the pot. Add chicken (thawed) and spices to Instant Pot then secure the lid. Push the Poultry Button, then set the timer to 15 minutes. The Instant Pot will come to pressure then begin to count backward from 15. Shred chicken in the pot with 2 forks, then add veggies back to the Instant Pot. Add the remaining chicken broth, heavy whipping cream, and cream cheese. Turn Instant Pot to saute and bring soup to a boil for 6 minutes. Turn Instant Pot to keep warm, then sprinkle Xanthan Gum on top. Stir and allow the mixture about 10 minutes to thicken. Cook 1 to 1½ lbs chicken and spices in the Crock-Pot in 1 cup chicken broth for 3 hours on high or 6 hours on low. With two forks, shred the chicken and leave it in the Crock-Pot. Sautee onion, mixed veggies, garlic cloves, salt, and pepper in 2 tablespoons butter in a skillet on the stove for approx 5 min or until onions are translucent then add to the chicken in the Crock-Pot. Add heavy whipping cream, the rest of the chicken broth, and cream cheese to Crock-Pot. Cover with lid, and cook on high for 45 minutes. Remove lid, and turn Crock-Pot to warm. Then, sprinkle Xanthan Gum on top and allow soup to thicken for 15-20 minutes. Here are some of the best keto apps for macros. 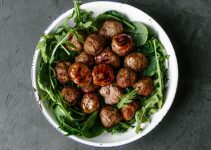 We use the MyFitnessPal App to calculate the nutritional information for this recipe and all of our keto recipes. 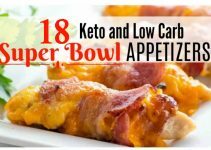 I personally, don’t track macros, but it is handy for those who are new to the keto lifestyle.